(by Associate Press at NY Daily New) BEIJING — U.S. assertions that China is the top source of the synthetic opioids that have killed thousands of drug users in the U.S. and Canada are unsubstantiated, Chinese officials told The Associated Press. Both the U.S. Drug Enforcement Administration [DEA] and the White House Office of National Drug Control Policy point to China as North America’s main source of fentanyl, related drugs and the chemicals used to make them. “China is not the only source of the problem, but they are the dominant source for fentanyl along with precursor chemicals and pill presses that are being exported from China to the U.S., Canada and Mexico,” said Russell Baer, a DEA special agent in Washington. U.S.-China cooperation is essential for mounting an effective global response to an epidemic of opioid abuse that has killed more than 300,000 Americans since 2000. The presence of fentanyl, a prescription painkiller up to 50 times stronger than heroin, and related compounds in the U.S. drug supply began to rise in 2013, after dealers learned they could multiply profits by cutting the potent chemicals into heroin, cocaine and counterfeit prescription pills. 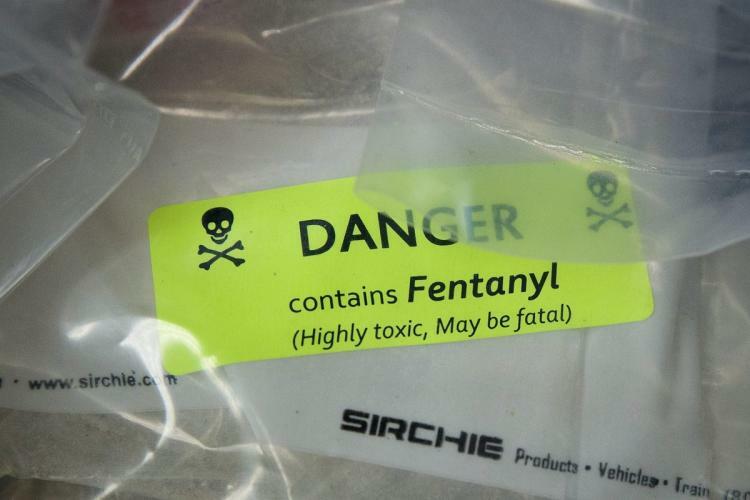 …..
U.S. Customs and Border Protection said it had data by country of origin only for 2015: Nearly two-thirds of the 61 kilograms (134 pounds) of fentanyl seized last year came from Mexico. The rest came from China. DEA officials say Mexican cartels are key bulk suppliers of fentanyl to the U.S., but portray Mexico as a transshipment point. Mexican officials, speaking on condition of anonymity because they were not authorized to be quoted, said fentanyl and its precursors were coming from China. Only two labs trying to produce fentanyl from scratch have been located in Mexico in recent years, with others apparently taking simpler steps to turn precursors into fentanyl, the officials said. Mexican authorities did not immediately respond to requests for seizure data by country of origin. There is plenty of anecdotal evidence indicating that China plays an important role in the fentanyl trade…. Reprinted here for educational purposes only from an Associated Press story. May not be reproduced on other websites without permission from the New York Daily News. Visit the website at nydailynews .com. 1. What are synthetic opioids? 2. What has the DEA and White House Office of National Drug Control Policy accused China of doing? 3. Describe the Chinese government’s response to the U.S. accusation. 4. What evidence does the DEA say led them to China? 5. Why did China’s National Narcotics Control Commission invite a team of Associated Press journalists to discuss this issue in Beijing? 6. How do U.S. officials know the Chinese government could greatly reduce the amount of synthetic drugs like fentanyl coming into the U.S.? 7. a) What is fentanyl? b) How many Americans have died from opioid abuse? c) When/why did the abuse of fentanyl begin? 8. Nearly two-thirds of the 61 kilograms (134 pounds) of fentanyl seized last year came from Mexico. The rest (one-third) came from China. a) Knowing that the Chinese can reduce/end the fentanyl trade from their country, what do you think the U.S. government should do to persuade them to do so? b) President-elect Trump has said numerous times that the U.S./Mexico border should be closed to prevent illegal drugs from flowing into the U.S. through Mexico. Ask a parent: do you support closing illegal border crossings as a way to cut off that drug route? Why or why not? Please explain your answer.